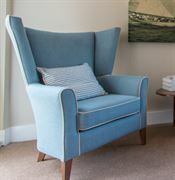 With 45 years experience behind us, our craftsmen consistently produce quality furniture and interiors from our own factories based in the UK and in Europe. Total peace of mind due to our business controls. Quality through Materials and Methods and TestingWhen ordering any Renray product, you have the peace of mind of knowing that we have been audited and accredited and have the necessary standards and business controls in place. We have achieved ISO 14001 for our environmental management systems, OHSAS 18001 for our health and safety management systems, and ISO 9001 for our quality management systems. Quality control is paramount at Renray and we use only the best materials such as premium kiln dried beech, best construction methods using mortice and tenon joints, and best technical capabilities using state of the art digital technology. Renray products are independently tested and manufactured in accordance with recognised British standards.